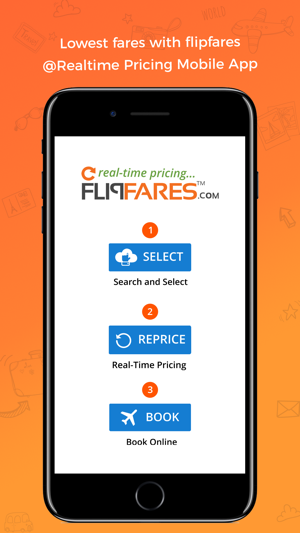 Flipfares.com compares online and offline fares to find lowest international deals in less than 2 minutes. 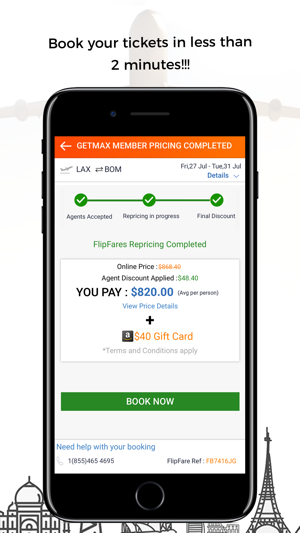 Search, Reprice and Book air tickets with maximum discount and gift cards. 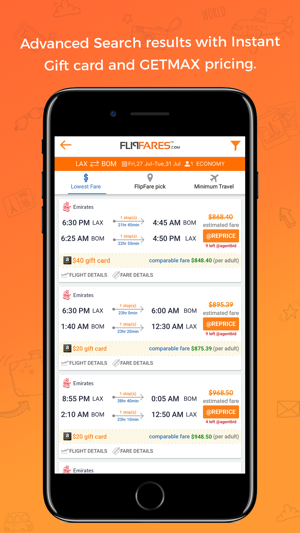 FlipFare prices are comparison fares from online and offline markets, quoted for request made by travelers after selecting 'Start Re-Pricing' in search results page. 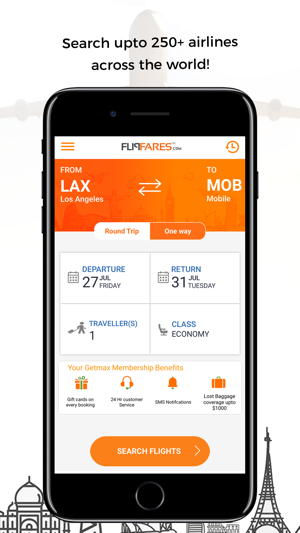 FlipFares prices may change without notice as per airline rules and regulations. Terms and conditions apply for all FlipFares offers and prices. 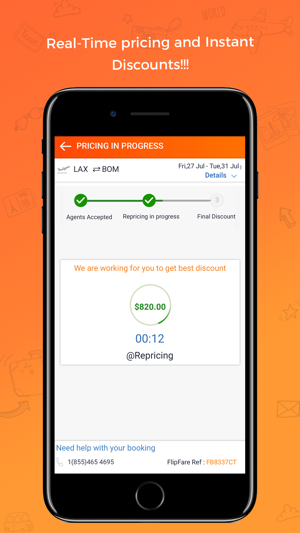 Select ‘Start Re-Price’ for best route and top flight of your choice. Estimated agent fare provides easy decision. Book your tickets online and enjoy travel. Guaranteed lowest fares + Rewards. Search from 200+ flights and 250+ routes scanned flight results. Best international flights. 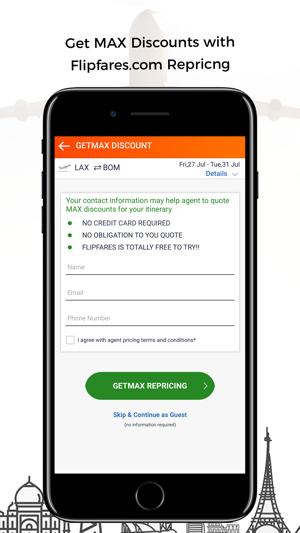 Please welcome all new 'GETMAX Membership' benefits feature. You get exclusive benefits as part of membership. We take care of your travel, RELAX! !